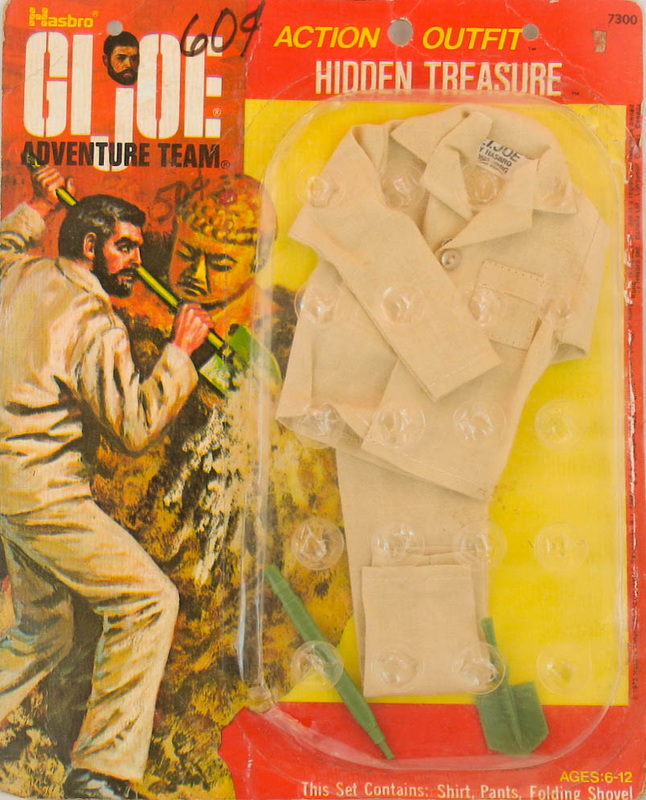 Hidden Treasure (7308-5) features a cool light tan desert outfit. Initially released with a surplus entrenching tool from the military era, the set later came with a green version of the Australian Jungle Fighter's e-tool. Some sources say the first version e-tool is a soft plastic version, but I have not seen that in a package to verify it. The one shown below is hard plastic. 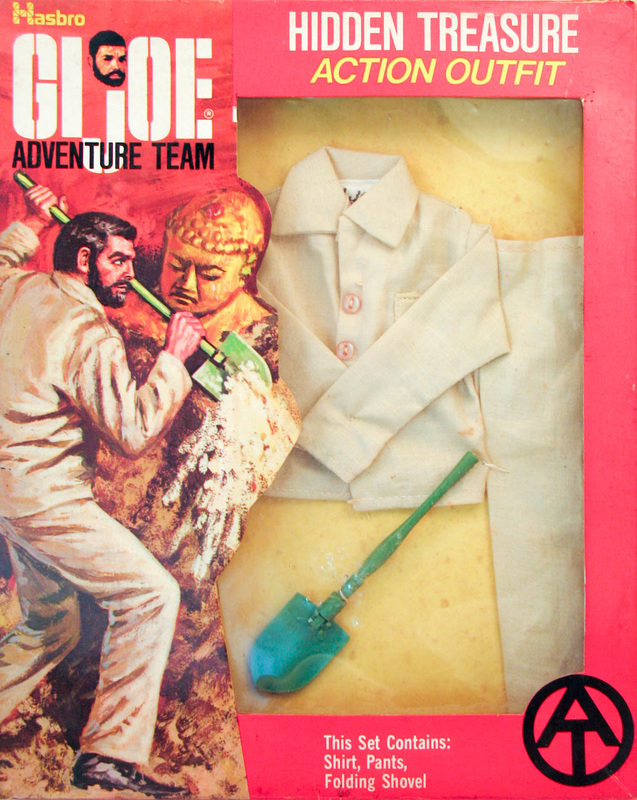 Below, the 1974 carded version of the outfit with the green Aussie style entrenching tool.